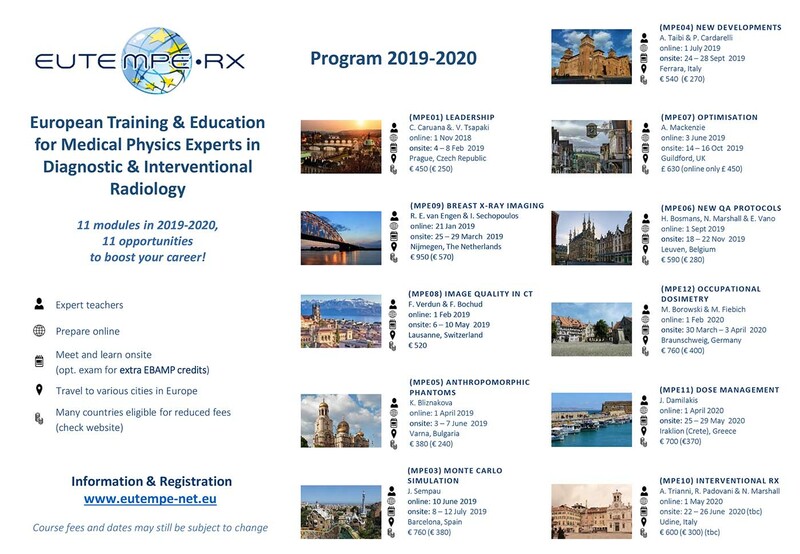 The EUTEMPE-NET consortium delivers 12 modules in Diagnostic and Interventional Radiology Physics.The course content is driven by the ‘European Guidelines on the Medical Physics Expert’. Dedicated EQF level 8 specialist courses delivered by area experts within a European network of centers of excellence. While applying choose the 'Medical applications' field: https://enenplus.fluidreview.com/.